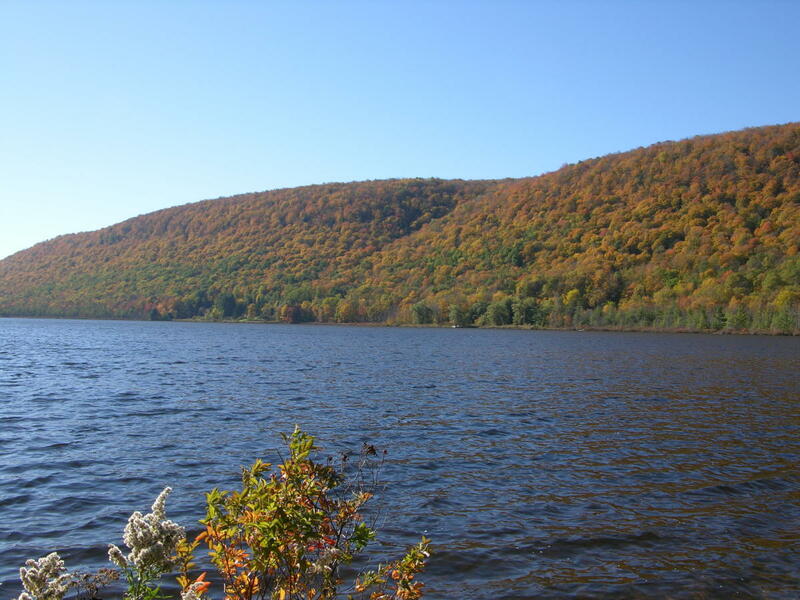 DeRuyter Reservoir is a highly developed lake located on the border of Madison and Onondaga counties near the Town of DeRuyter. 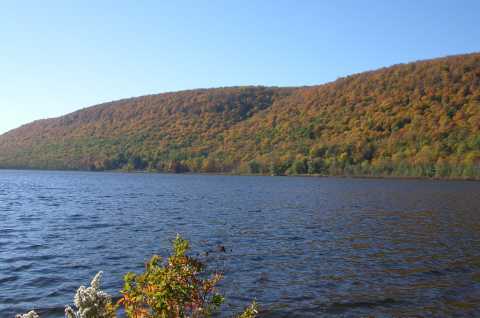 It is one of the numerous area reservoirs that was built to supply water to the Erie Canal. Physical Features: Elevation: 1300 feet Area: 575 acres Shoreline Length: 6.2 miles Length: 1.8 miles Maximum Depth: 55 feet Town: DeRuyter, Fabius, Cazenovia Aquatic Plant Life: Abundant vegetation on the shallower south end and also along most of the shoreline out to about 12 feet of water. Access: Fee access boat launch at DeRuyter Lake General Store, 37 South Lake Road. For more information on this launch site contact the DeRuyter Lake General Store at 315-852-9678 or view their website which can be found using a search engine. Fish Species: Walleye, largemouth bass, smallmouth bass, chain pickerel, black crappie, pumpkinseed sunfish, bluegill, rock bass, yellow perch, and brown bullhead. Fishing: Walleye can often be tricky to locate and catch in the lake. Trolling can help to cover water when looking for walleye. For information on this technique please view Fishing for Walleye. Largemouth bass are abundant with fish in the 14 to 15-inch range being very abundant. With the numerous chain pickerel in the lake, using a wire leader is advised if fishing around vegetation. The reservoir is also a popular ice fishing location for walleye, chain pickerel and panfish.